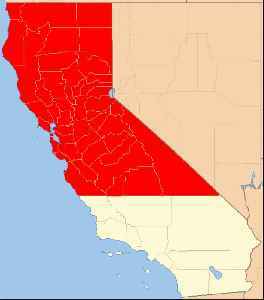 Northern California is the northern portion of the U.S. state of California. Spanning the state's northernmost 48 counties its main population centers include the San Francisco Bay Area, the Greater Sacramento area, and the Metropolitan Fresno area. Northern California also contains redwood forests, along with the Sierra Nevada, including Yosemite Valley and part of Lake Tahoe, Mount Shasta, and most of the Central Valley, one of the world's most productive agricultural regions.